Mojeed Alabi receiving his award. TWO investigative reports sponsored by the International Centre for Investigative Reporting (ICIR) were voted best and second best reports in the print and online categories of the 2018 Wole Soyinka Awards for Investigative Reporting in Lagos, on Sunday. Mojeed Alabi of the New Telegraph was announced as the winner of the print category for his two-part story, ‘Exposed! Nigeria’s Deputy Speaker In 1.1bn Water Contract Scam’, while Kemi Busari’s report on the poor state of Nigeria’s nuclear technology centre, was adjudged the second best investigative report in the online category. Busari is with Premium Times. Both reports were sponsored by The ICIR as part of its Open Contract Reporting (OCR) Project, with support from the John D. and Catherine T. MacArthur Foundation. The Kemi Adeosun certificate forgery report, written by Abdulaziz Abdulaziz of the Premium Times, was announced the winning entry in the online category. Abdulaziz was also announced as the 2018 WSCIJ-Nigerian Investigative Reporter of the year. For the photo category, Kolawole Aliu, a 2017 runner-up, won for his photo, ‘The Menace of Lagos State Task Force on People’, published in the Leadership Newspaper, while Sharon Ijasan of Television Continental (TVC) won the television category with her story ‘Funding basic education in Nigeria’. Chinelo Ozoalor of Federal Radio Corporation of Nigeria, Enugu, was the only journalist recognised for the radio category. She won the category for her report, ‘NECO Paper Leak Enugu’. The winners, runners-up and commended works got cash prizes of N200,000, N100,000 and N50,000 respectively, plus a certificate of commendation. In addition, winners got award plaques and will proceed on an all-expense-paid international study tour in 2019. John Momoh, Chairman of Channels Media Group, receiving his honorary award. There was an honorary Lifetime Award for Journalistic Excellence, John Momoh, Chairman of Channels Media Group, owners of Channels Television, “for his over two-decade commitment to media excellence”. Similarly, Waziri Adio, the Executive Secretary of the Nigeria Extractive Industries Transparency Initiative (NEITI), was also honoured with the Anti-Corruption Defender Award for his consistent public stance against corruption. Adio is the 10th recipient of the award. The 2018 edition of the Wole Soyinka Award for Investigative Reporting is the ninth edition of the awards, having begun in 2005. 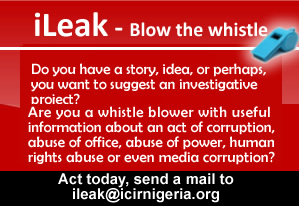 It is aimed at celebrating and rewarding outstanding investigative reports across the country. The award is held on every December 9, the International Anti-corruption Day and eve of the World Human Rights Day, to highlight the crucial role played by the media in promoting the culture of accountability and transparency in government.